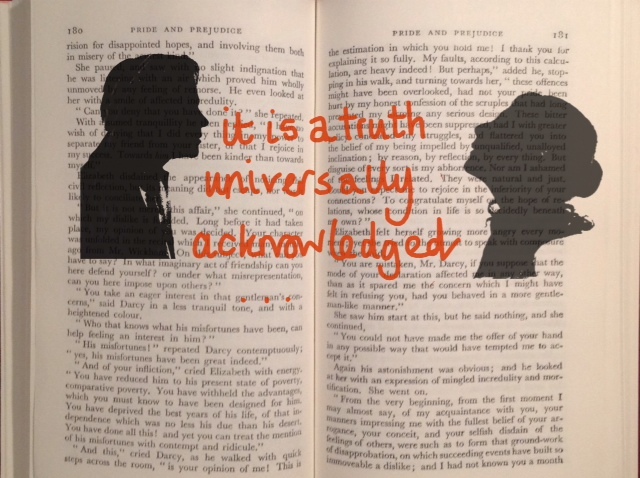 Pride and Prejudice is a set-text for lots of students at G.C.S.E level. Two Bit Classics offers students the chance to re-experience the story in a playing-space where novel, theatre and the cultural phenomenon of Austen’s characters collide. Our work is suitable for students aged 12 upwards and is perfect for: students of the novel, those wanting an introduction to Austen, those studying her other novels at A Level or those studying Drama and Theatre Studies. Do click on the ‘Meet the Characters and ‘Two Bit Classics at Work’ pages for an insight into our working process. Several of our venues are offering great deals for student tickets (do see the ‘Current Tour Schedule’ page for details of where the show is going). We offer workshops tailored to either Literature or Drama Students. Our approach centres on immersing students in the world of Austen’s characters and offering a memorable insight into the narrative action. Two-Bit Sky Plus: students have the power to stop and start the action; directing sections of the novel and exploring the idea of perspective. In the Hot-Seat: a live Q&A session with the characters – in which students can both witness and orchestrate the character switching. For Drama students our transparent playing style provides a unique insight into the mechanics of theatre. We offer students access to a range of exercises and techniques used to create the production. Key skills & Topics: Hot-Seating, Actions and Beats, Rehearsal Technique, performance styles, working with a range of stimuli and inspirations. Spark Notes Live! This is an opportunity to experience the book rather than read it. Our playing style uses the original dialogue but also puts third person narration into the mouths of the characters. We offer the chance to freshly experience the irony, wit and detail of the text in a truly original way. We will work with key sections of the novel which reveal themes and character and often form the foundation for questions at exam time. 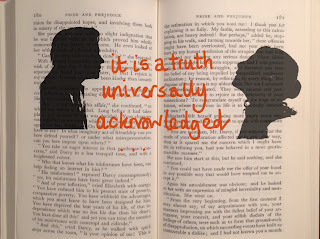 Key skills & Topics: Reputation, Class and Money, Self Knowledge, Austen’s narrative style. To book a workshop for your school, college, or youth group, please email twobitclassics@gmail.com.